Although recruiting children to the sport of bowhunting is fantastic, we must not forget about a more capable and approachable demographic: adults. Keith Warnke, the R3 team supervisor for the Wisconsin Department of Natural Resources, said mentoring and training adults to hunt is important because, compared to children, they have more resources and fewer barriers to overcome. What’s the most significant difference between children and adults? Adults dictate their lives and make their own decisions. Simply put, they don’t require parental permission before they make plans. Because adults have the power to make decisions, they’re the only one you must convince to try bowhunting. Many adults have jobs, so they have income to spend. Bowhunters must buy clothes, licenses, equipment and other hunting accessories. 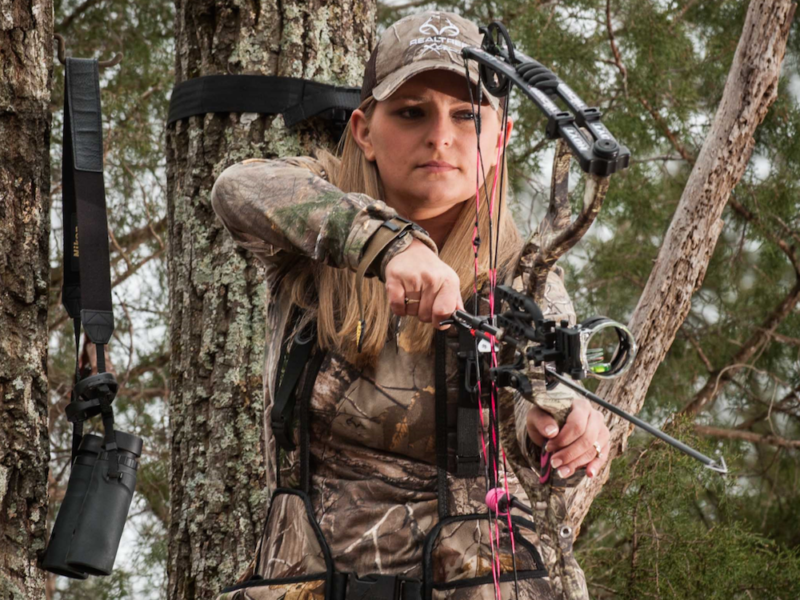 Because adults are in control of their financial decisions, they can easily buy the gear they need to start bowhunting. Many adults have a vehicle. They can drive to private or public hunting land. After you teach them the proper skills and techniques, they won’t need you to chauffeur them around. Children can be challenging to teach, because they sometimes lack focus and patience. On the contrary, most adults are conditioned to listen to and follow directions so they can learn faster. Bowhunting requires ethical, responsible behavior at all times. Typically, adults are more aware of the rules, their surroundings, and the skills and practice needed to bowhunt. They’re more capable of being prepared, reading the regulations, understanding their equipment and respecting the wildlife and wild places they encounter through the sport. Adults are also responsible for shopping and cooking for themselves and their family. Bowhunting is a great alternative to purchasing meat at the grocery stores because the venison is harvested ethically and sustainably. Plus, the average adult deer yields about 50 pounds of lean protein, which people can substitute for store-bought beef in recipes like tacos, chili and spaghetti. And because 85 percent of Americans approve of hunting to obtain meat, according to a 2008 National Shooting Sports Foundation survey, it should be an easy sell. They can teach others to bowhunt. Adults are self-sufficient. If they learn to bowhunt and enjoy it, they can immediately teach others to hunt, including their children. By recruiting adults to hunt, you’re creating more people who can welcome and encourage others to participate. And more participants means more financial contributions to fund outdoor recreation’s future. Ready to share your passion and convert your non-hunting friends? You can recruit newcomers of any age. But if you target those over 18 years old, they’ll likely have the money, transportation and decision-making authority to plan a hunting trip after you’ve sparked their interest. Plus, trained adult bowhunters can sustain themselves and become lifelong bowhunting advocates. Happy recruiting!